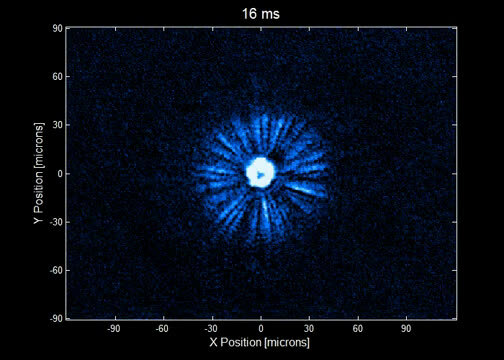 Chin's lab studies what happens to particles called bosons in a special state called a Bose-Einstein condensate. When cooled down to temperatures near absolute zero, bosons will all condense into the same quantum state. Researchers applied a magnetic field, jostling the atoms, and they began to collide—sending some flying out of the condensate. 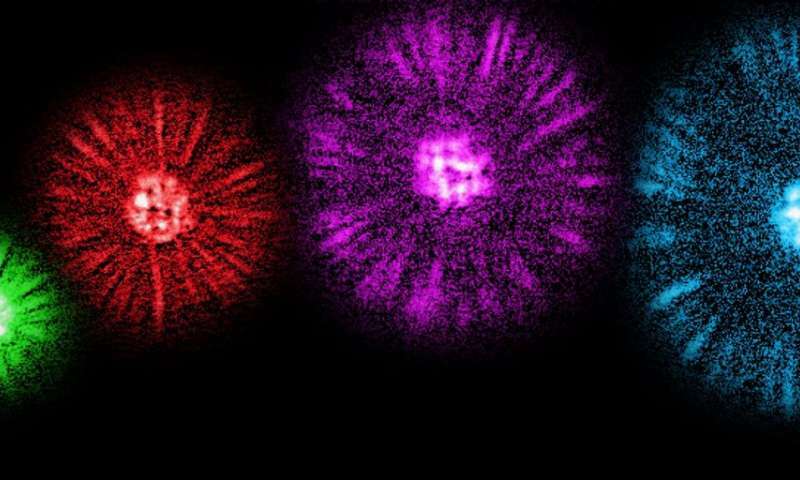 But rather than a uniform field of random ejections, they saw bright jets of atoms shooting together from the rim of the disk, like miniature fireworks. The tiny jets may show up in other systems, researchers said—and understanding them may help shed light on the underlying physics of other quantum systems.